Today’s IT environment is far different than the IT environment of even a decade ago. The main reason for this is that IT organizations now manage a heterogeneous, global environment. Users of IT resources can be employees, contractors, or even vendors and other third parties, none of which have to be onsite to gain access to a company’s assets. Those users, whether onsite or not, leverage a wide variety of IT platforms and resources, most of which are global in nature now. Simply put: IT no longer lives within the figurative four walls of a corporation. 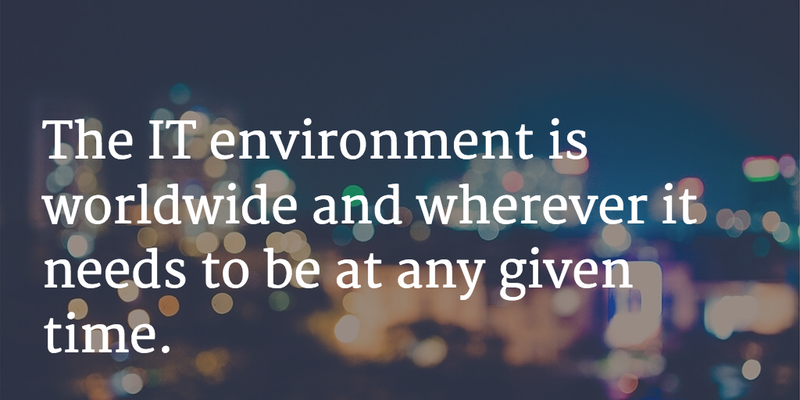 The IT environment is worldwide and wherever it needs to be at any given time. The challenge with IT being a global, heterogenous environment is connecting a company’s variety of users to its variety of IT resources. This challenge has created an IT a problem that’s risen significantly in importance over the last few years, especially with the common adoption of cloud-based services. The distributed network has clearly caused a security and management challenge for IT organizations, but there have been other reasons that connecting users to their needed resources has presented challenges. For starters, the various IT resources that users want access to leverage a plethora of authentication protocols. Security has become a significant issue, and authentication protocols are essential nowadays. In fact,identities are the number one attack target. Legacy on-premises directory services, such as Microsoft Active Directory and OpenLDAP, have struggled to make the leap to the modern IT infrastructure. The good news: there is a solution to help manage multiple users and their access to a company’s resources. Cloud authentication services can help organizations control user authentication to its variety of IT resources, whether in the cloud or on-premises. Often known as a Directory-as-a-Service platform, cloud authentication services connect users to devices (Macs, Linux, and Windows machines), legacy and cloud applications (via LDAP, SAML, and other protocols), and networks (via RADIUS or LDAP). Regardless of the location of the IT resource, their authentication can be performed on the device or application or sent directly to the cloud-based directory service. If the authentication succeeds, the user is granted access; and if authentication fails, the user is denied entry. Multiple failures on a device can result in the account being locked. What’s more, passwords can be mandated to have certain levels of complexity; or for systems that support SSH keys, they can be required. The benefit of these cloud authentication services is flexibility and speed. IT admins do not need to build the infrastructure to deliver user access control. Historically, IT admins have had multiple “directories” because of incompatibility between resources and the core directory service. Directory-as-a-Service changes this model to enable authentication to a variety of users and resources. As a authentication services platform, DaaS works by being the core user repository. Users are imported or put into the system and then, through a simple tags mechanism, can be connected with devices, applications, and network access. If you would like to learn more about cloud authentication services and how you can leverage modern cloud infrastructure and services without the added hassle of creating multiple directories, contact our JumpCloud team, or try JumpCloud’s Directory-as-a-Service today. Your first 10 users are free forever.